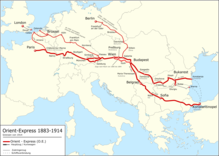 The Orient Express is the name for a passenger train (and its route). 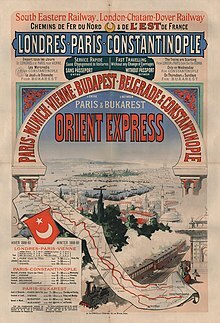 Originally it ran from Paris to Istanbul. The final service was an overnight train between Strasbourg and Vienna (it joined with the sleeper from Amsterdam in Karlsruhe). The service ended in 2009. This page was last changed on 9 March 2015, at 06:47.